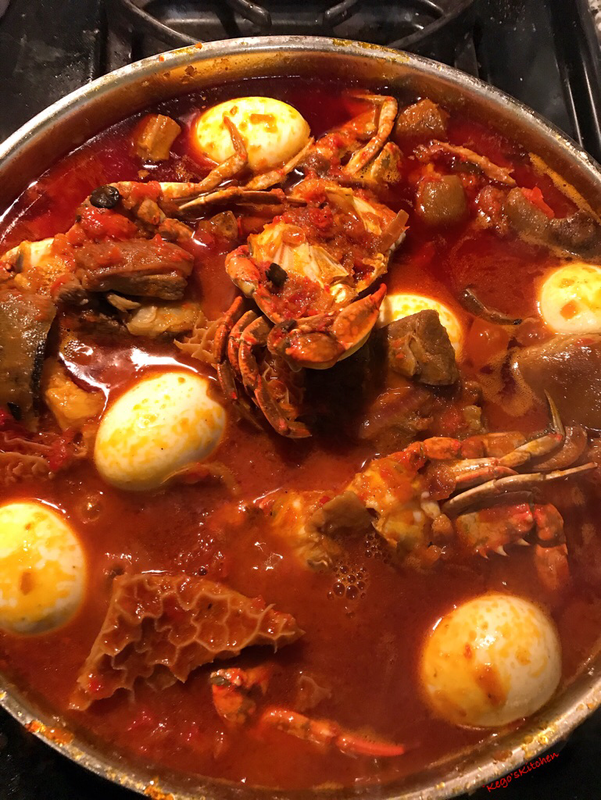 Ofada stew is a very popular stew native from Nigeria. 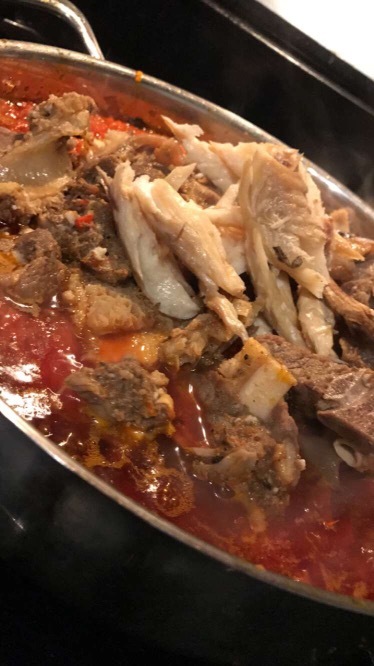 It is a well know Yoruba stew. 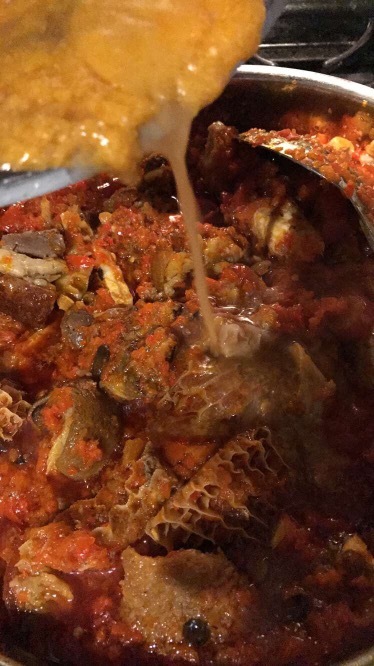 I also have another recipe on my blog called ayamase which is also known as Ofada or Designer stew. Whats the difference? 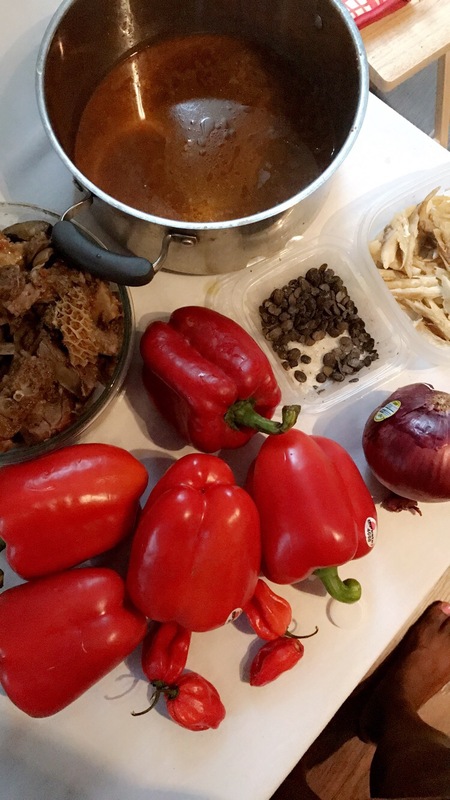 Ofada uses only red tatashe ( bell pepper). 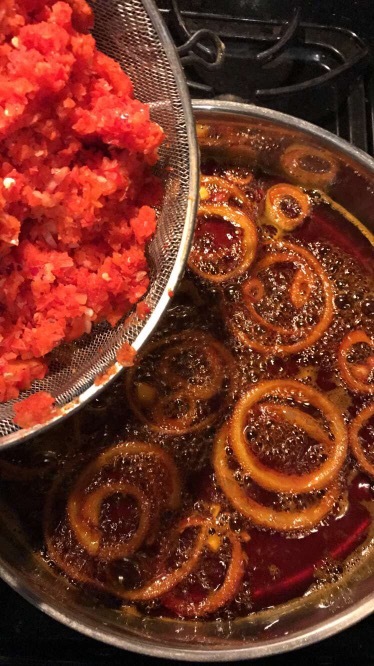 Try my simple recipe below. 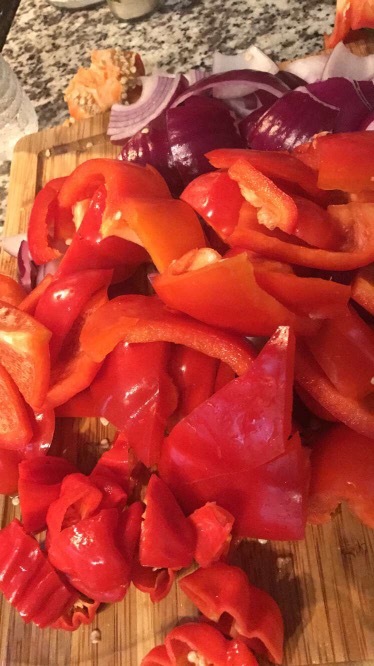 Blend all red bell peppers, 1/2 yellow onion, and 3 habenero until smooth. Place mixture in a strainer to drain the excess water. Set aside. Once cooled off open pot and add in sliced red onion and the iru. Put back on medium high heat and begin to fry for the next 3-5 minutes. 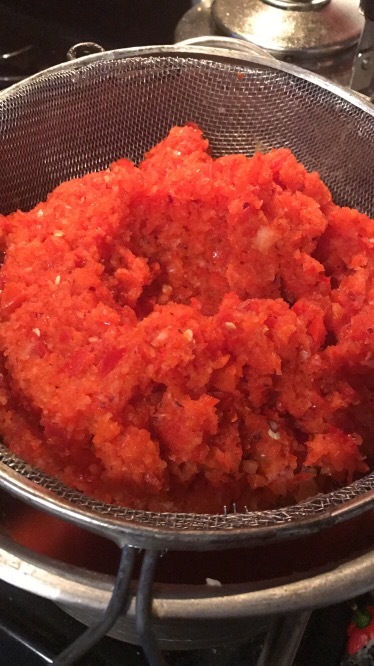 Next add in the red pepper mix and continue to fry for 3- 5 mins.